The beauty and fitness books that changed my life: and link up | Is This Mutton? 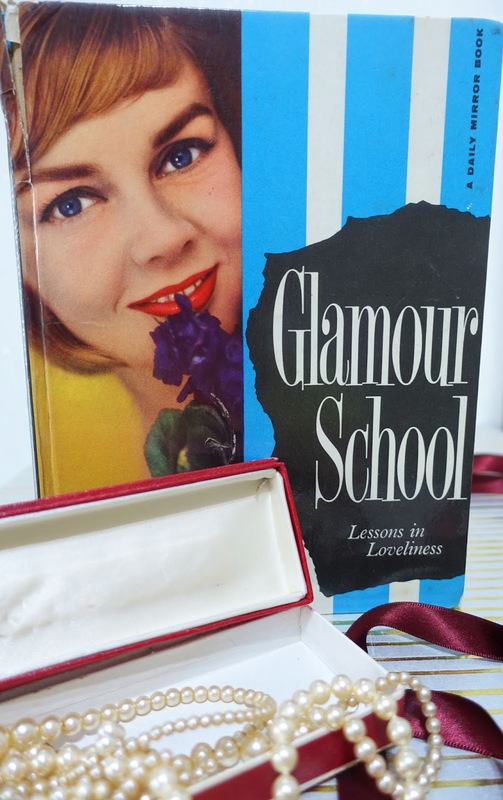 I found Glamour School at a summer fete, when I was about 12. Some of the content was a little dated even then - the book came out in 1957 - such as hair dressing tips about perms, clips and setting lotion. But there's plenty of content that's still bang up to date, and the book must have been way ahead of its time because it talks about safe tanning. At that time, the fake tanner hadn't been invented, but the book recommends wearing make-up to simulate a tan. "Choose a brown tinted cream with an oil base that does not wash away in water. But remember to blot yourself dry or it will come off in streaks on the towel." To "wash" a fine dry complexion, after removing make-up, sponge milk over the face and neck. Allow the residue to dry on the skin and it acts as a refining mask. Sponge off with warm water. To soften and revitalise dry skin, steam heat a spoonful of honey over a saucepan of hot water; add a few drops of lemon juice and spread mixture over face and neck. Leave for 10 to 20 minutes and rinse off. Two rounds of cucumber make a cooling compress for tired eyes. You can still buy this book second-hand on Amazon.com for around $54. 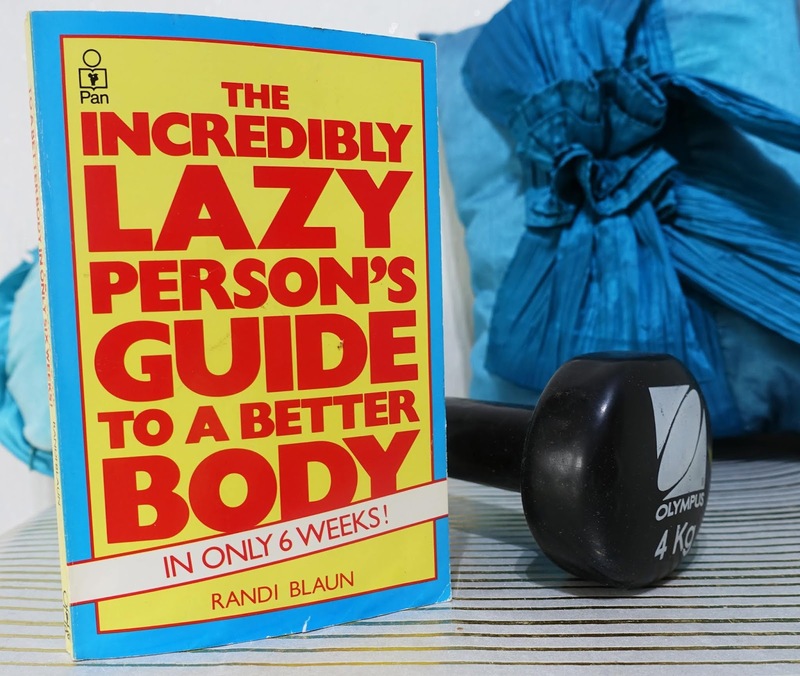 The Incredibly Lazy Person's Guide to a Better Body, by Randi Blaun, was first published in the UK in 1983. I was a trainee journalist at the time and had a small column reviewing books. I was sent this paperback to review. I can honestly say, it changed my life. Weight lifting was seen as something freakish then, indulged in by men with gigantic biceps like former Mr Universe Arnold Schwarzennegar. This book featured exercises aimed at women involving light dumb bells and leg weights. The exercises are performed in thousands of gyms every day, but back in the early 80s, this was pioneering stuff. I remember horrifying my dad with my purchase of some dumb bells - he thought I was going to turn into a muscled monstrosity. And this book started my life long interest in lifting weights. Now, in my 50s, weight resistance is even more important as it helps keeps bones healthy and strong. My next job at a local radio station saw me covering the opening of a municipal gym in Exeter, one of the first in the country. 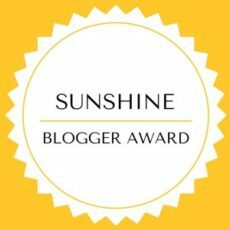 They liked my piece so much they gave me free membership. I was one of the few women to use the facility. I've bought many health, fitness and beauty books since, but the only other book to really resonate with me was Dr Nicholas Perricone's Programme (2002). 120g steamed salmon with a Caesar salad (no croutons) and half an apple. 120g grilled halibut; tossed Greeek salad with romaine lettuce, 3 black olives, 30g feta cheese, half a cucumber, four cherry tomatoes, lemon juice and a little oregano. a little cottage cheese, half a cup of strawberries and four macadamia nuts. What are the books that changed your life? Any tips you are still relying on? Do share in the comments below. Sharing this post with #ShareAllLinkUp at Not Dressed as Lamb and #WeekendBlogHop at Claire Justine. 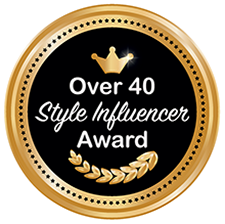 Last week's readers' favourite was Emma from Style Splash, looking poised and elegant in this leopard print kaftan dress from Eva Trends. Oh yes those books! There I sat on the couch, my hair in mayonaise! Of raw eggs! Haha, awfull!